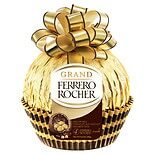 Shop Ferrero Rocher Medium Gift Box Chocolate, 2 Piece Gold/ Brown (4.4 oz. )4.4 oz. 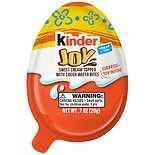 Shop Kinder Joy Easter Candy (.7 oz. ).7 oz. 2 for 3 dollars and 00 cents or 1 for 1 dollars and 99 cents $1.99 $2.84 / oz. 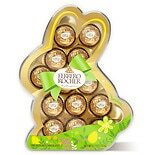 Shop Ferrero Rocher Chocolate and Hazelnut Easter Bunny chocolate and hazelnuts (6 oz. )6 oz.